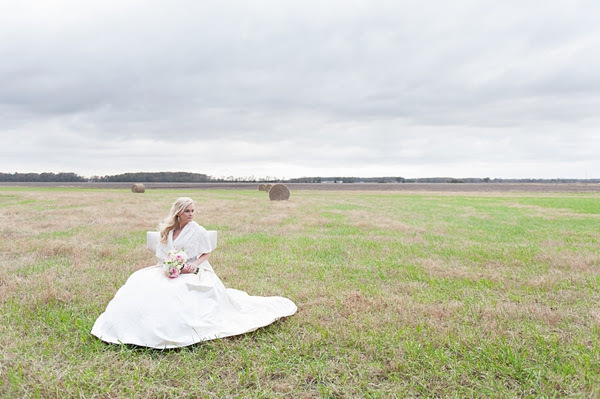 That moment when the image of Skylar's gorgeous bolero appeared in front of me, I knew this Chesapeake bridal session was going to be a gem to share. 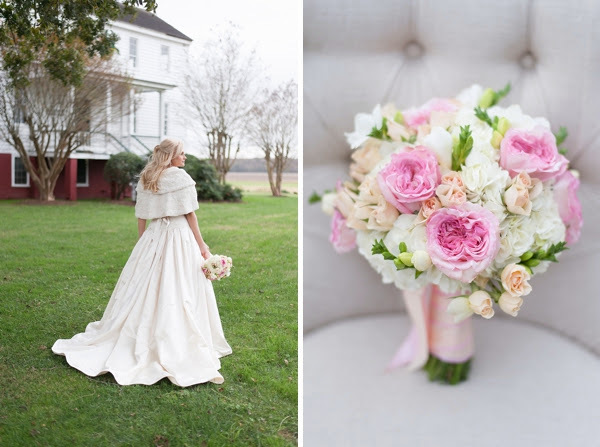 Bride Skylar contacted Sarah of Sarah Street Photography only a few short weeks before her wedding. She wasn't originally going to have bridals taken (it was almost as if she had read into the future and saw our Tuesday Tidbits on Bridal Portraits! 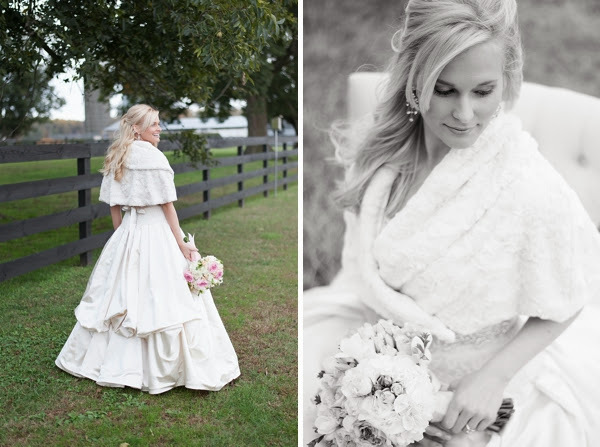 ), but she wanted to have no regrets as there aren't very many times you can wear a bridal gown! At the ripe temperature of 35 degrees, it was a very cold afternoon, but you would have never known it by how radiant Skylar looked. 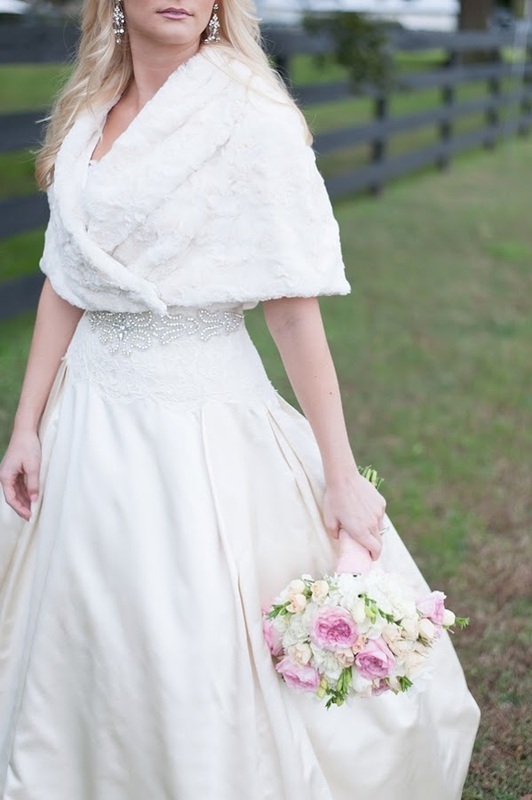 Between her family friend's farm, the gown, soft wintry bolero, and her Badgley Mischka heels, she was picture perfect. 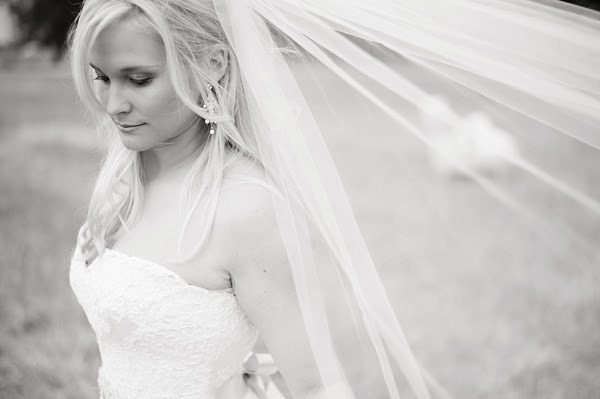 Skylar and her hubby were married late November in Williamsburg, so we wish them much happiness as newlyweds!